Who: Lansing, Mich.-based Lake Trust Credit Union, a $1.6 billion dollar-asset credit union serving more than 164,000 members in more than 20 communities. Yvonne DeGasperis, Coordinator of Member Service Support for Lake Trust Credit Union. What: A recent merger led the newly formed Lake Trust Credit Union to implement logicpath’s C3 Financial across all 21 branches, after having previously used Version 1 at some of the branches. Lake Trust Credit Union sought to centralize cash management operations and standardize the ordering process across its brand new branch network. C3 Financial has provided Lake Trust Credit Union employees with one reliable and centralized place to understand and examine member demand, receive orders, deposit recommendations and cash inventory. Lake Trust Credit Union required accessible and standardized cash management software that increased efficiencies and was easy for branch employees to learn and navigate. Previously, Lake Trust submitted cash orders to the Federal Reserve Bank by each individual branch, intensifying the difficulty to effectively manage the cash ordering and receiving process without constant branch manager monitoring. Some of Lake Trust’s branch staff were already familiar with Atlanta-based logicpath’s C3 Financial, a web-based branch, ATM and vault cash management software solution – having utilized the software prior to the formation of Lake Trust Credit Union. According to Degasperis, the learning curve was a rapid one when rolled out to additional branch teams. The clarity of C3 Financial’s graphical representation of cash management data also proved beneficial in accelerating the system’s adoption and effective use by Lake Trust Credit Union employees. While the process is centralized for efficiency, the data is still available to individual branches to help understand usage patterns. According to DeGasperis, the reliability of having a central place for the credit union’s cash management operations has increased each branch’s efficiency, day-to-day cash ordering and deposits. Twelve Lake Trust branches utilizing C3 Financial experienced a 22 percent cash inventory reduction. With the addition of eight branch locations, Lake Trust experienced an overall additional 8 percent reduction in institution-wide cash levels. 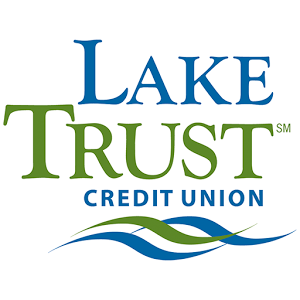 Lake Trust Credit Union moved from a decentralized to a centralized cash ordering process with C3 Financial’s assistance. logicpath estimates Lake Trust Credit Union employees reduced time dedicated to cash management from 60 minutes per week to one individual spending an average of 21 minutes per week. logicpath also approximates Lake Trust Credit Union has experienced more than $8,800 per year in cost savings from this time reduction. In addition to cost savings, the reduction in time spent on cash management activities has enabled branch staff and managers to dedicate more time ensuring a positive branch experience for members. C3 Financial’s added training also provided Lake Trust Credit Union with the educational and technical support for a smooth software transition and quick resolution of any issues. Want to learn more about C3 Financial? Lake Trust Credit Union is a forward-thinking and growing credit union built upon more than 65 years of commitment to members, community and service. A $1.6 billion financial institution servicing over 164,000 members, Lake Trust stretches from Lake Michigan to Lake Erie and Lake Huron with branches in more than 20 communities throughout the state. As a community-based credit union, the strength of our organization is enhanced by the strength of our community, so the credit union strongly believes in supporting organizations and activities devoted to improving our members’ communities and their quality of life.